We've heard that less than 1% of the world's vodkas are made from potatoes, and we believe it. The process is laborious, messy, and it takes a whole lot of potatoes to make just one bottle of our premium vodka, yet the result is well worth the effort. We source local potatoes from the Skagit Valley in Western Washington. This wonderful culinary potato imparts a rich, creamy, award-winning taste with a smooth finish, and creates a vodka that stands apart from the many grain-based options on the market. 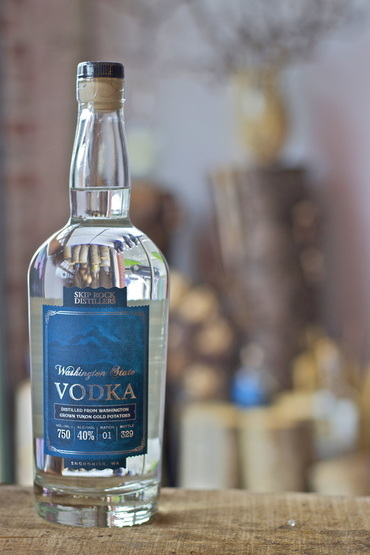 "This singular vodka utilizes Yukon gold potatoes, which add an elemental complexity that finishes briskly and a touch sweet."